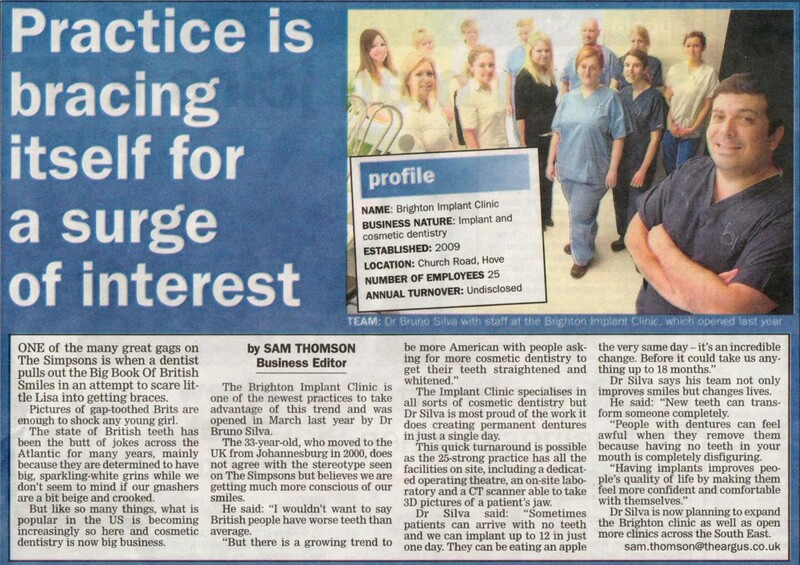 The Hove Branch of Brighton Implant Clinic has recently recruited additional staff members. The clinic was established in 2009 by Dr Bruno Silva. The clinic offers affordable dental implants to patient who wish to replace damaged or missing teeth permanently. Dental implants unlike denture are placed into the jaw bone. Dental implants feel, look and function like natural teeth. Dental implants have been in use for over 25 years. Recently the treatment has become more popular as patients understand the benefits of dental implant treatment. For more details Contact Brighton Implant Clinic or Call us on 0800 111 6623 .